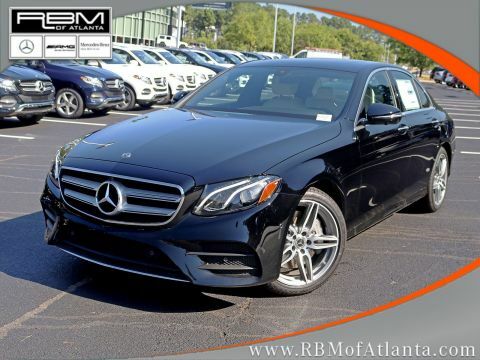 WHEELS: 19 AMG® TWIN 5-SPOKE -inc: Tires: 245/40R19, WHEEL LOCKS, SOFT-CLOSE DOORS, SELENITE GREY METALLIC, REAR SEAT ENTERTAINMENT & COMFORT ADAPTER PRE-WIRE, PREMIUM 1 PACKAGE -inc: KEYLESS GO, KEYLESS GO Comfort Package Code, SiriusXM Radio, 6-month All Access Plan trial, Hands-Free Access, NFC Wireless Charging, Electric Trunk Closer, PARKING ASSISTANCE PACKAGE -inc: Surround View Camera, Active Parking Assist, MACCHIATO BEIGE/BLACK, MB-TEX UPHOLSTERY, LOWERED SUSPENSION W/SELECTIVE DAMPING SYSTEM, LED LOGO PROJECTORS (SET OF 2). 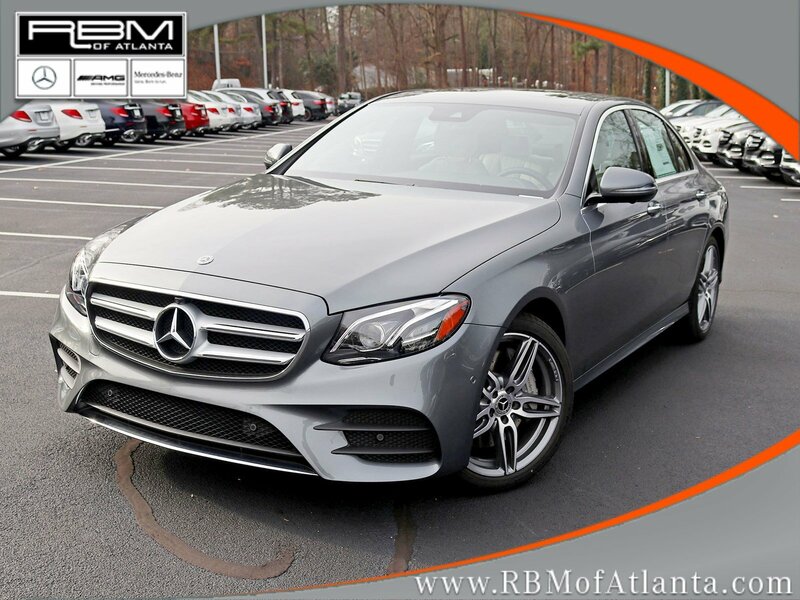 This Mercedes-Benz E-Class has a strong Intercooled Turbo Premium Unleaded I-4 2.0 L/121 engine powering this Automatic transmission. 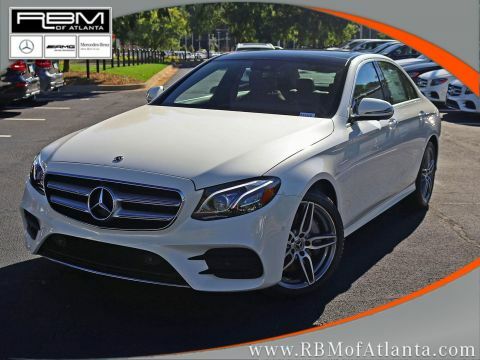 *This Mercedes-Benz E-Class E 300 Has Everything You Want *EXTERIOR LIGHTING PACKAGE -inc: Adaptive Highbeam Assist, LED Intelligent Light System , BROWN ASH WOOD TRIM -inc: Center Console in Brown Ash Wood, BLIND SPOT ASSIST, BLACK HEADLINER, AMG® LINE EXTERIOR -inc: AMG® Body Styling, Sport Interior, Sport Interior (P15), Perforated Front Brake Discs & Fr Brake Calipers, 115V AC POWER OUTLET, Window Grid Antenna, Wheels: 18 5-Spoke, Valet Function, Trunk Rear Cargo Access, Trip Computer, Transmission: 9G-TRONIC Automatic -inc: Steering Wheel Shift Paddles, Transmission w/Driver Selectable Mode and TouchShift Sequential Shift Control w/Steering Wheel Controls, Tracker System, Tires: All-Season, Tires: 245/45R18 AS, Tire Specific Low Tire Pressure Warning, Systems Monitor, Side Impact Beams, Seats w/Leatherette Back Material. 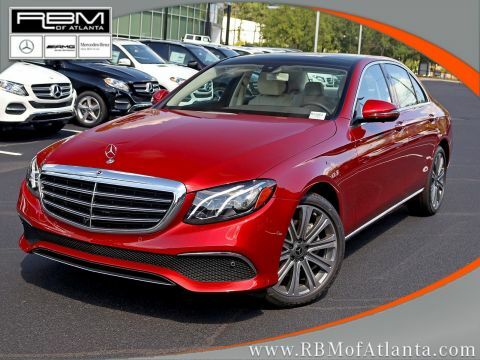 *Visit Us Today *Treat yourself- stop by RBM of Atlanta located at 7640 Roswell Road, Atlanta, GA 30350 to make this car yours today!